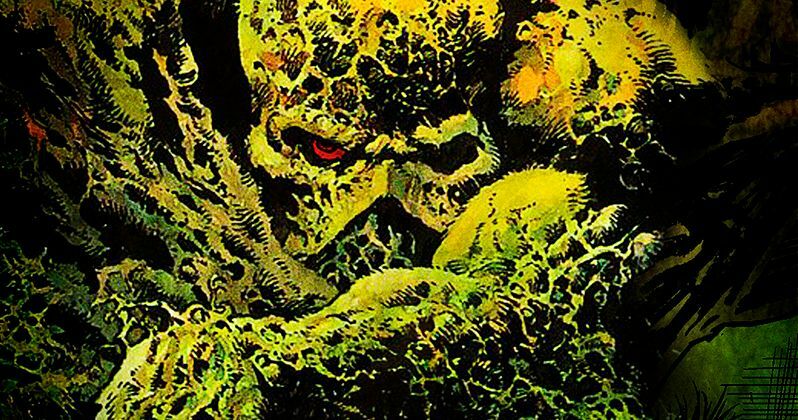 DC Entertainment announced today they are issuing a script-to-series order for a one-hour live-action drama series entitled Swamp Thing. This new series will debut sometime in 2019 on the upcoming DC streaming service, which was given the official title of DC Universe earlier today. The Swamp Thing series will join the previously-announced Titans, Young Justice: Outsiders and Harley Quinn, with DC Universe releasing new logos for all four shows. Here's the official plot description for the Swamp Thing series below. "When CDC researcher Abby Arcane returns to her childhood home of Houma, Louisiana, in order to investigate a deadly swamp-borne virus, she develops a surprising bond with scientist Alec Holland, only to have him tragically taken from her. But as powerful forces descend on Houma, intent on exploiting the swamp's mysterious properties for their own purposes, Abby will discover that the swamp holds mystical secrets, both horrifying and wondrous, and the potential love of her life may not be dead after all." The Swamp Thing series was written by Mark Verheiden (Smallville, Ash vs. Evil Dead) and Gary Dauberman (IT), who will both service as executive producers alongside James Wan and Michael Clear through their Atomic Monster production company, with Rob Hackett co-producing. While a director for the first episode has yet to be confirmed, it wouldn't be surprising if James Wan directed the pilot himself, since he has previously directed the pilot episode of the CBS hit series MacGyver. Still, no director for the pilot, or any other episodes, have been confirmed yet. Swamp Thing was created by writer Len Wein and artist Bernie Wrightson, with the character first appearing in House of Secrets #92 in the summer of 1971. The character Alex Olsen was a scientist in the early 20th Century who was caught in a lab explosion that was purposefully caused by his co-worker Damian Ridge, who wanted to kill Olsen so he could be with his wife, Linda. Olsen did not die, instead mutating with chemicals and other forces of the swamp he landed in to become the Swamp Thing. Olsen ultimately saves Linda from being murdered by Ridge, and since he can't make Linda realize that he's really her husband, he simply returns to the Swamp. After the popularity of that comic book, Wein and Wrightson were brought on to create an ongoing, contemporary series, which resulted in Swamp Thing #1 hitting the shelves in October 1972. The story shifted to the 1970s, with the new primary character entitled Alec Holland, a scientist working in the swamps of Louisiana. DC ultimately rebooted Swamp Thing along with all of their other properties with the New 52 reboot. The DC Universe streaming service is described as "a first-of-its kind, immersive digital experience designed just for DC fans," which will include, "unlimited access to exclusive original series." While we wait for more on Swamp Thing and the rest of the DC Universe lineup, take a look at the new logos below.